If you have been injured due to the negligence of another person or party, you have the option to file a personal injury claim. Often, medical attention or treatment is immediately required. However, depending on your specific case it may take a while to settle and receive compensation for the damages incurred. In this case, you will most likely need to pay the immediate upfront medical costs or have your insurance cover them. Whether your health insurance covers all or part of the medical costs, you are still eligible for a personal injury claim. 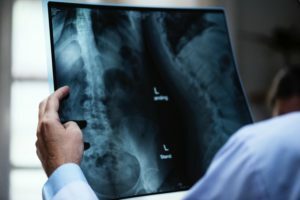 If in fact your health insurance company was able to cover all of your medical expenses related to the personal injury claim, chances are your health insurance will file a lien against the lawsuit. A lien is a demand for repayment. Essentially, any money reimbursed by the plaintiff through the claim will go to the insurance company. If the health insurance covered all medical expenses and the plaintiff recovered this full amount, all of the recovered money will go to the insurance company. If the plaintiff recovered more than the amount the insurance company covered, only the amount the insurance company paid will be collected or subtracted from the plaintiff’s earnings. It is possible to get the lien holder or the insurance company to accept less than the amount they paid. If the lien exceeds the total amount a plaintiff is likely to receive from a lawsuit, a plaintiff’s attorney may be able to negotiate with the carrier in order to resolve the lien for substantially less than the face value of the claim. The Cochran Firm personal injury attorneys have the experience and resources to handle a wide range of personal injury cases. Contact us at (212) 553-9215 for your free consultation today.